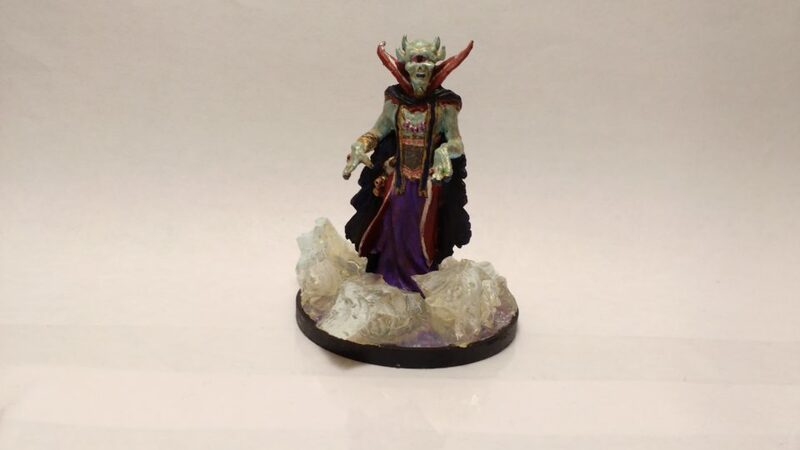 I had been on the look out for a miniature to serve as a specific antagonist for my Celestial Winter campaign and I decided that Vordakai Cyclops Lich more than fit the bill. Now that I can paint my own miniatures I’m trying to field foes that are visually unnerving rather than just straight out threatening. I think that Vordakai accomplishes that quite well. 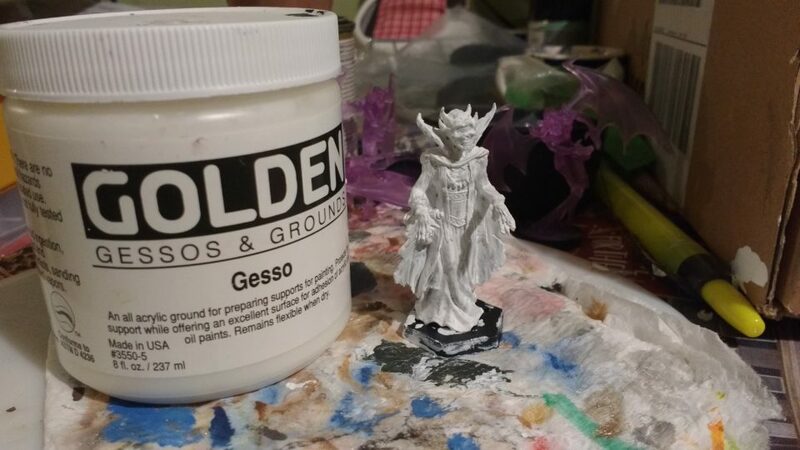 I started off by priming the miniature with white gesso. I considered, briefly, priming some sections in white and some in black, but my experience with Urian Spartan Warrior was that the primer color didn’t make much of a difference. The theme of the #MordorPaint miniature painting contest for April was best Wizard/Sorcerer so I decided to enter Vordakai. 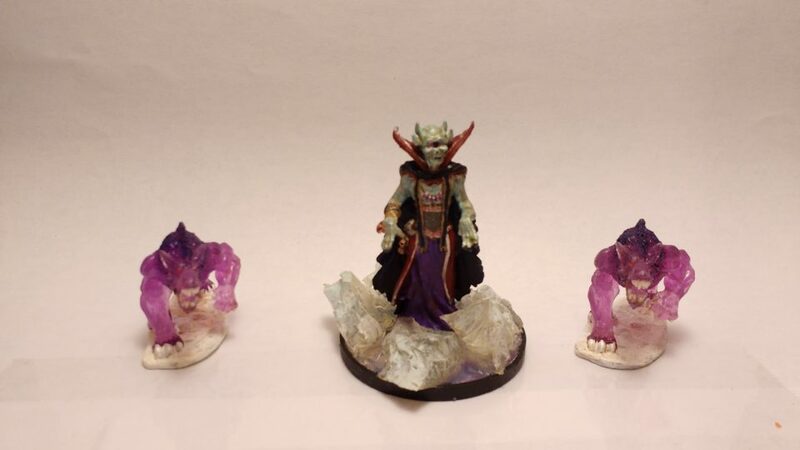 I like entering the contest occasionally as a way to challenge myself and it inspired me to try out a new kind of base – I followed the Ice Base Tutorial by “MonkeySloth” that I’d seen on the Reaper Miniature message boards. 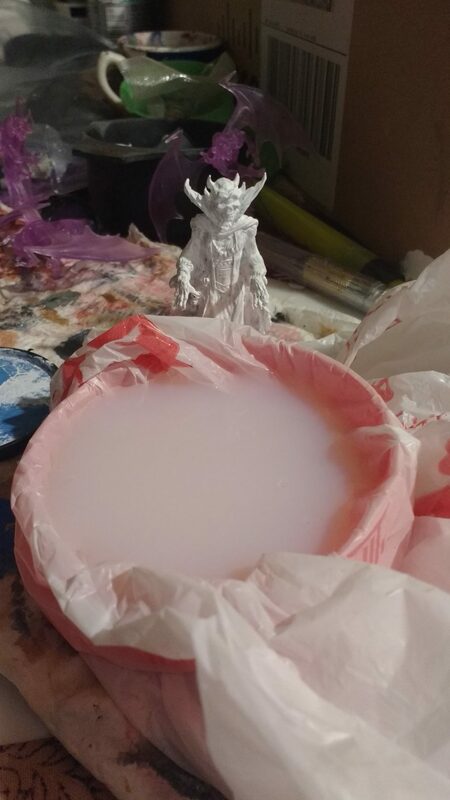 It took forever for the ice chunks for the base to dry so I had lots of time to work on detailing. 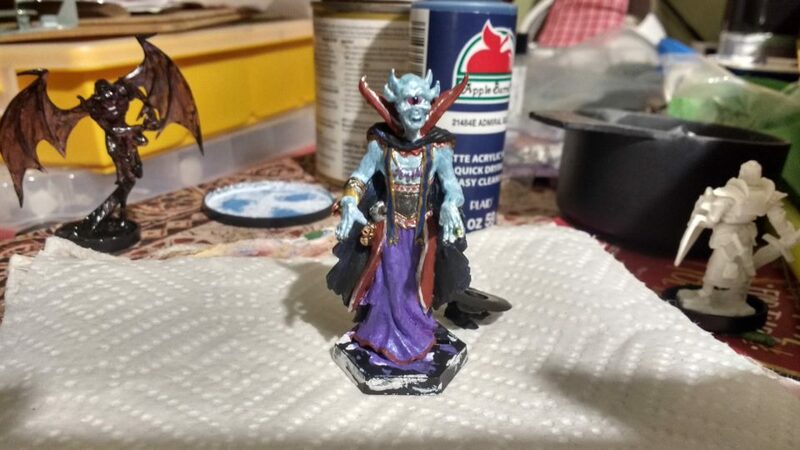 As I noted , I recently picked up two shades of Color Shift paint and had a lot of fun using them to make Vordakai’s cape look magical. 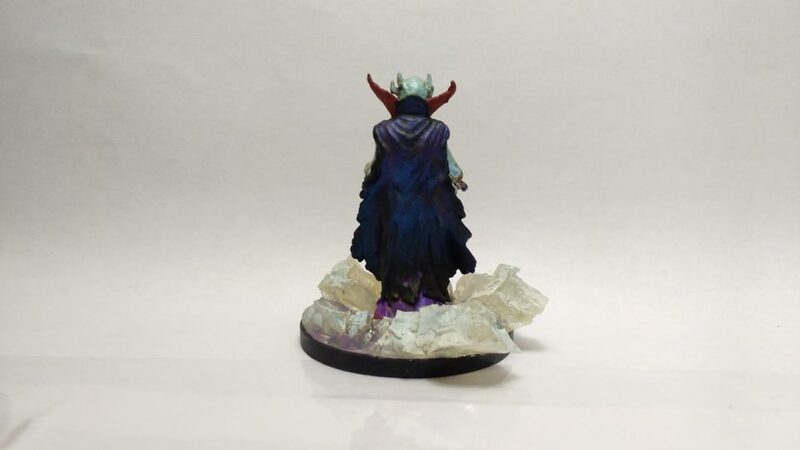 I blended two shades of Color Shift paint on the cloak and the effect is really striking with some movement (of the miniature or of the light source).